What caused Nikola Tesla’s 1895 lab fire? 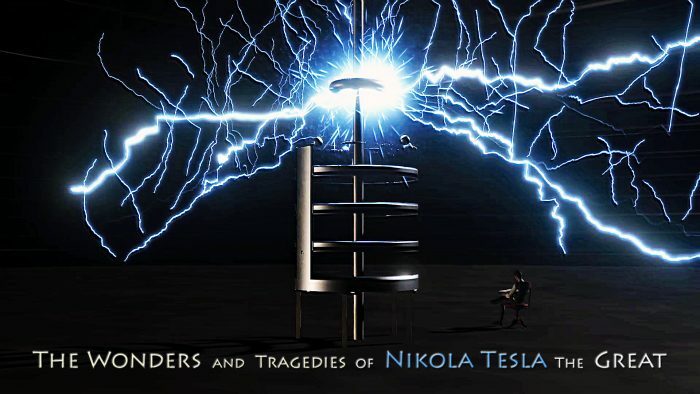 The story of Nikola Tesla is one of faith, hope and belief. It is a story of what one individual can achieve and how a single person utterly dedicated to his cause can change the world for the better. In 1893, Tesla’s AC transmission system had been proven superior over the existing DC transmission system. Westinghouse won the bid to supply electrical power for the World’s Columbian Exposition. Due to an increase in his popularity following the success of the World Columbian Exposition, Tesla started becoming famous in the social circles of the power elite. In the era where patents are being filed to legally secure ones control and monopoly over businesses and earn maximum, Nikola Tesla did the exact opposite. He was concerned neither about the fame nor the profits that came with his work, but was solely concerned with the advancing of science and its beneficial impact on mankind. During the same period, using Nikola Tesla’s patents, Westinghouse Company won the bid to build a functioning power plant on the Niagara Falls. This was a great opportunity for Tesla. At that time Tesla was using his Tesla Coil as a prototype to be used as a means of communication. Tesla dreamed to use electric impulses to transmit linguistic words from one corner of the planet to another without wires. By 1893, Tesla’s theories on the possibility of the transmission of words by radio waves were proved through his lectures and demonstrations. Tesla perfected the technique to transmit messages wirelessly across 50 miles by 1895. But as Tesla prepared to perfect this technology for the greater good of mankind, a tragedy struck. In the early morning hours of March 13, 1895, the South Fifth Avenue building that housed Tesla’s lab caught fire. It started in the basement of the building and was so intense Tesla’s 4th floor lab burned and collapsed into the second floor. The fire not only set back Tesla’s ongoing projects, it destroyed a collection of early notes and research material, models, and demonstration pieces, including many that had been exhibited at the 1893 Worlds Colombian Exposition. Tesla told The New York Times “I am in too much grief to talk. What can I say?” After the fire Tesla moved to 46 & 48 East Houston Street and rebuilt his lab on the 6th and 7th floor. Another man too at the time had a dream, a dream to control and monopolize all the available assets, electricity, railroads, steel works and communications, to only allow the person who could afford to pay him for the use of these assets to ply by them, to maximize his gain at the expense of the common man. This man who had this dream, held major stake in all of Thomas Edison’s companies and was fuming at the loss that Tesla had caused him by winning the bid for the lighting of the World Columbian Exposition. Tesla winning the contract for the Niagara Falls power plant had further added insult to injury of this man. The man was now livid with rage. The man was, John Pierpont Morgan or J. P. Morgan himself. J.P. Morgan was an American financier, banker, and art collector who dominated corporate finance and industrial consolidation. At the height of Morgan’s career during the early 1900s, he and his partners had financial investments in many large corporations and had significant influence over the nation’s high finance and Congress members. Morgan’s total wealth was about $41.5 billion at that time. That is about $2.6 trillion as per today’s standards. This was the clout J.P. Morgan had and hence everyone feared him; everyone but Nikola Tesla. J.P. Morgan wanted Tesla to sell all his patents to him and his businesses so that he could maximize his gains further. He was willing to pay Tesla rich returns for the same. Tesla realized that consolidation of the patents in the hand of such a wealthy tycoon would mean that its benefits would never reach the common man and hence Nikola Tesla refused. Morgan was not a man to let go of an insult. With his refusal to sell his patents Tesla had now snubbed Morgan thrice. Tesla was habituated to working late in his lab. Once immersed in work he used to forget time and even skipped his food. One night he was similarly busy working in his lab when an impulse made him leave the lab for dinner. As he dined, there came a knock on the door. A messenger had arrived with the news that there had been an explosion in the building housing Tesla’s laboratory and everything had been destroyed. Tesla ran through the street to where all his dreams, his visions, his work, his patents, his memories were housed but in vain. The fire brigade was dousing the flames and nothing remained. The greatest monument to the technological advancement of mankind had been wiped off within no time. The totality of his technological achievements was burned into vapor. All that remained was Nikola Tesla himself. Was it Tesla’s refusal to grant his patents to Morgan that resulted in the blaze? Was this the fallout of War of Currents that Edison had badly lost to Tesla? Was it any other adversary of Tesla who did it? Or was it just another accident? No conclusive evidence to the end exists and time will keep its secrets. Tesla was totally distraught by this loss mentally as well as financially. The fire destroyed all his research papers, notes, patents which awaited filing, books, and journals and also all of his apparatus. It left Tesla penniless. It would have been Tesla who would have been burned and buried in his own lab. But with good grace, Nikola Tesla was still alive. Then In 1894, Tesla began investigating what he referred to as radiant energy of “invisible” kinds, after he had noticed damaged film in his laboratory in previous experiments (later identified as “Roentgen rays” or “X-Rays“). From the 1890s through 1906, Tesla spent a great deal of his time and fortune on a series of projects trying to develop the transmission of electrical power without wires. It was an expansion of his idea of using coils to transmit power that he had been demonstrating in wireless lighting. He saw this as not only a way to transmit large amounts of power around the world but also, as he had pointed out in his earlier lectures, a way to transmit worldwide communications. To further study the conductive nature of low pressure air, Tesla set up an experimental station at high altitude in Colorado Springs during 1899. There he could safely operate much larger coils than in the cramped confines of his New York lab, and an associate had made an arrangement for the El Paso Power Company to supply alternating current free of charge. Tesla made the rounds in New York trying to find investors for what he thought would be a viable system of wireless transmission, wining and dining them at the Waldorf-Astoria‘s Palm Garden (the hotel where he was living at the time), The Players Club, and Delmonico’s. In March 1901, he obtained $150,000 ($4,412,400 in today’s dollars) from J. Pierpont Morgan in return for a 51% share of any generated wireless patents, and began planning the Wardenclyffe Tower facility to be built in Shoreham, New York, 100 miles (161 km) east of the city on the North Shore of Long Island. By July 1901, Tesla had expanded his plans to build a more powerful transmitter to leap ahead of Marconi’s radio based system, which Tesla thought was a copy of his own system. He approached Morgan to ask for more money to build the larger system but Morgan refused to supply any further funds. In December 1901, Marconi successfully transmitted the letter S from England to Newfoundland, defeating Tesla in the race to be first to complete such a transmission. A month after Marconi’s success, Tesla tried to get Morgan to back an even larger plan to transmit messages and power by controlling “vibrations throughout the globe”. Over the next five years, Tesla wrote more than 50 letters to Morgan, pleading for and demanding additional funding to complete the construction of Wardenclyffe. Tesla continued the project for another nine months into 1902. The tower was erected to its full 187 feet (57 m). In June 1902, Tesla moved his lab operations from Houston Street to Wardenclyffe. Investors on Wall Street were putting their money into Marconi’s system, and some in the press began turning against Tesla’s project, claiming it was a hoax. The project came to a halt in 1905, and in 1906, the financial problems and other events may have led to what Tesla biographer Marc J. Seifer suspects was a nervous breakdown on Tesla’s part. Tesla mortgaged the Wardenclyffe property to cover his debts at the Waldorf-Astoria, which eventually mounted to $20,000 ($488,600 in today’s dollars). He lost the property in foreclosure in 1915, and in 1917 the Tower was demolished by the new owner to make the land a more viable real estate asset. Since 1900, Tesla had been living at the Waldorf Astoria in New York running up a large bill. In 1922, he moved to St. Regis Hotel and would follow a pattern from then on of moving to a new hotel every few years leaving behind unpaid bills. Tesla’s unpaid bills, and complaints about the mess from his pigeon-feeding, forced him to leave the St. Regis in 1923, the Hotel Pennsylvania in 1930, and the Hotel Governor Clinton in 1934. At one point, he also took rooms at the Hotel Marguery. In 1934, Tesla moved to the Hotel New Yorker, and Westinghouse Electric & Manufacturing Company began paying him $125 per month as well as paying his rent, expenses the Company would pay for the rest of Tesla’s life. Accounts of how this came about vary. Several sources say Westinghouse was worried (or warned) about potential bad publicity surrounding the impoverished conditions under which their former star inventor was living. The payment has been described as being couched as a “consulting fee” to get around Tesla’s aversion to accept charity, or by one biographer (Marc Seifer) as a type of unspecified settlement. On 7 January 1943, at the age of 86, Tesla died alone in Room 3327 of the New Yorker Hotel. His body was later found by maid Alice Monaghan after she had entered Tesla’s room, ignoring the “do not disturb” sign that Tesla had placed on his door two days earlier. Assistant medical examiner H.W. Wembley examined the body and ruled that the cause of death had been coronary thrombosis. Two days later the Federal Bureau of Investigation ordered the Alien Property Custodian to seize Tesla’s belongings, even though Tesla was an American citizen. John G. Trump, a professor at M.I.T. and a well-known electrical engineer serving as a technical aide to the National Defense Research Committee, was called in to analyze the Tesla items, which were being held in custody. [Tesla’s] thoughts and efforts during at least the past 15 years were primarily of a speculative, philosophical, and somewhat promotional character often concerned with the production and wireless transmission of power; but did not include new, sound, workable principles or methods for realizing such results. In a box purported to contain a part of Tesla’s “death ray”, Trump found a 45-year-old multidecade resistance box. Nikola Tesla is one of the greatest scientific minds and inventors the world has ever known. Even though he is somewhat absent from our history books, he is a man that created the foundation for today’s technology and lifestyle.